Exciting racing today in Marietta, Georgia. The US 100K is a race like no other with a start just before sunrise, a fast descent immediately accelerating to 45+mph before hitting the first of three large rollers including one with a 50+mph descent, 11 laps of a short circuit with 10,000+ spectators running the 10k in the opposite direction, and then finally a 55+mph downhill sprint finish. Stuart, Terry, and I worked well together with Terry and I taking turns getting into breaks and Stuart shepherding me around the course at several key times including the last lap helping me to save energy for the finish. It was “grupo compacto” going into the feedzone hill on the last lap with a little over 1 mile to the finish. There were crashes on the hill and then in the lefthand turn forcing a number of us outside into the runners/walkers. It was madness with runners/walkers diving out of the way. I was able to rejoin the group right on Mark Hekman’s wheel (Mountain Khakis) with a little less than 1k to go, but he dove back into the main sprint train, and I couldn’t follow my way back into the line before the top of the downhill. Once we hit the downhill, I saw an opening, dived in behind somebody, tucked, hit 53mph and passed about 5-10 people before the line for 22nd. Awesome racing with Terry for the first time in a big race and I’m already excited for next season!!! 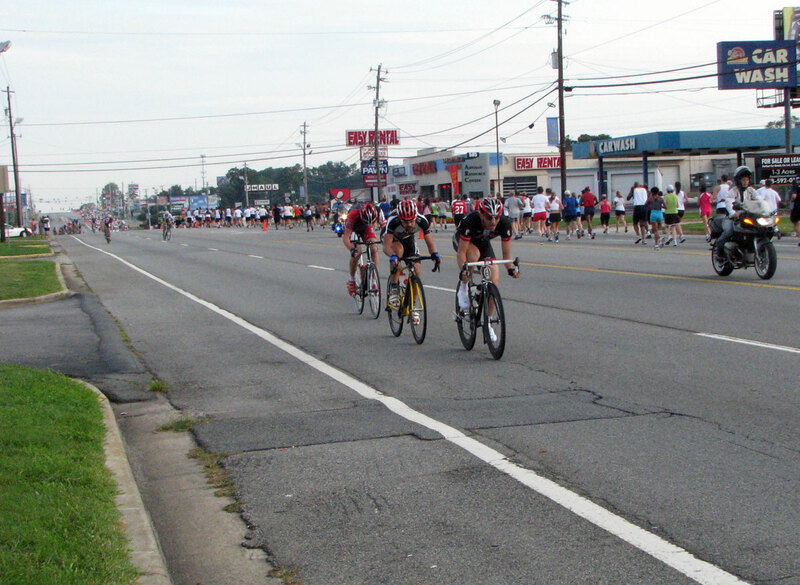 This entry was posted in Racing and tagged heartrate, nrc, photos, road race on September 7, 2009 by kartoone.